Some of the most iconic art to hit the streets and cover the walls of London is the work of an artist known as D*Face. From the skeletal bust of Marylyn Monroe to the irreverent images of Queen Elizabeth II, his distinctive style is easily recognised by its characteristic blend of skateboard punk and Pop Art. 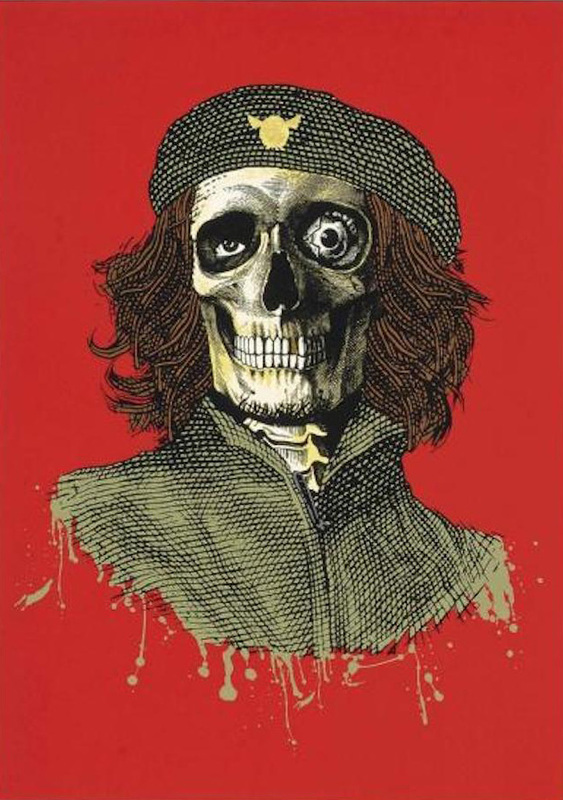 D*Face is a British street artist, who over the years has experimented with many art mediums. Starting with stickers, posters and sidewalk graffiti, his portfolio later included bold artwork emblazoned across buildings in countries around the world. His enthusiasm for skateboard graphics started at a young age, fuelled by American street art magazines and films. After a failed attempt at a photography course in college, he switched to an illustration and design course where he blossomed and started freelancing with his skills. Still experimenting, he drew dysfunctional characters on stickers. The stickers were plastered across parts of London where his quirky designs came to the attention of the public. When he branched into street art his reputation became established. D*Face kept his identity a secret until 2008 when he admitted to being Dean Stockton, a revelation he felt necessary as he was getting older. With his work appearing in galleries, there seemed little point in maintaining the subterfuge. His style is most recognisable when he uses cultural icons such as Andy Warhol or Marylyn Monroe, but it is obvious he has drawn inspiration from Roy Lichtenstein’s Pop Art work. The themes are very similar but the comic book style of Lichtenstein’s 60s world is overshadowed by D*Face’s darker images. 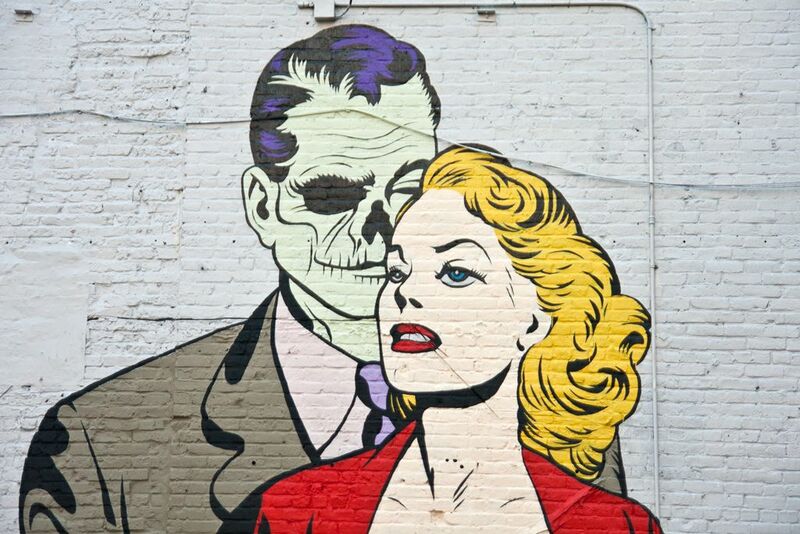 His ‘Kiss of Death’ is a great example of a Lichtenstein transformed into something more sinister. 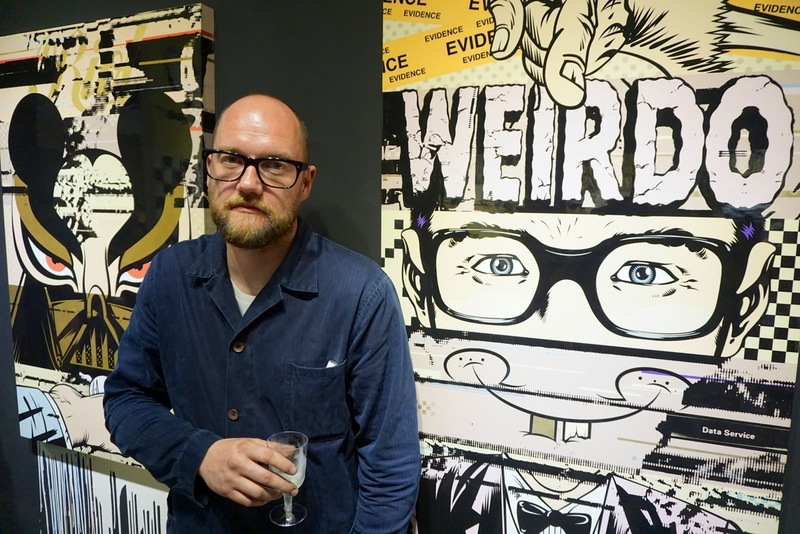 In many of his works, D*Face encourages the public to do more than see the art itself but also to look around and consider the commercialised surroundings of their environment. Fame and celebrity are often both symbolised and ridiculed at the same time in his art. Despite the subversive bias in his work, the D*Face brand today has reached a level of commercial success that would have been hard to imagine when he started. Stockton, as the public persona of D*Face, also paints on canvas and is well known for the effects he accomplishes through screen printing. In 2010, two large statues dubbed Zombie Oscars appeared in Los Angeles, declaring that ‘beauty is one snip away’. Clearly, D*Face is not restricted to 2D nor has he lost his sense of irony.